Rizvi College of Education organises a workshop every year on Teaching Aids for their F.Y.B.Ed. students. 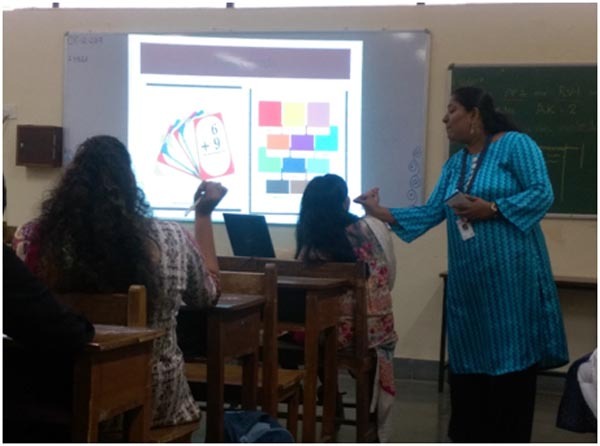 This session is essential for these future teachers so as to make them understand the importance and impact of using teaching aids during a lesson. How to use a teaching aid? When to use a teaching aid? How to make an effective teaching aid? Along with some samples of teaching aids like charts, power points, flash cards, cue cards, flow charts, graphs, models, concept maps etc. This session also has a hands-on session of making an effective teaching aid. 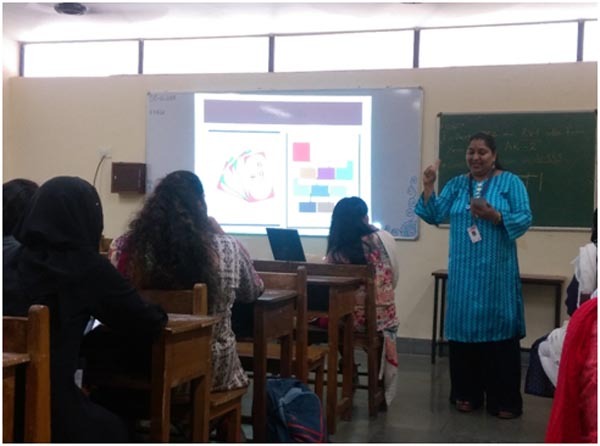 For the academic year of 2017-18, this session was conducted by Dr. Asha A.K, our in-house faculty and an expert in this domain on 8th December 2017. Below are a few photographs of the workshop. Dr. Asha demonstrating the use of one of the teaching aids.